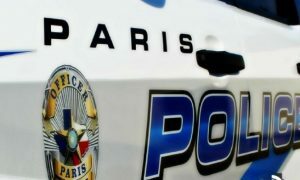 Paris Police responded to the 2100-block of E. Cherry Friday morning before 8:00 where a burglary of a residence had occurred during the night. The victim stated that she was asleep and found her front door open when she awoke. She advised that the only thing that she could find missing was money from her purse. The incident is under investigation. Paris Police Officers responded to a burglary of a residence in the 100-block of NE 17th later Friday morning where an unknown suspect had entered the residence and taken multiple hand tools and televisions from the residence. The investigation continues. Paris Police responded to the 300-block of NE 2nd Saturday evening where a known female hit the complainant in the face with a beer bottle. The victim had a laceration to their forehead and was transported to PRMC for treatment. The incident is under investigation. Paris Police responded to 245 calls for service and arrested seven people over the past 72-hour weekend ending at midnight Sunday (Aug 26).